eSports has become an international phenomenon. With players from all over the world competing, what was once limited to LAN parties and low-level tournaments now has multi-million dollar championships and the entire world as its player base. A lot of analysts predict that eSports will get even bigger, with potential revenues reaching $1 billion in a few years. This is why a lot of people want to tap into this industry. Companies ranging from advertising to tech have decided to jump in on the bandwagon and try to get a piece of the pie. One of the more obvious entrants into the eSports race is the online gambling industry. Sports betting is a major component of the gambling industry and the infrastructure is already there to support its integration. A lot of what sportsbooks have to do to get eSports action is to provide a way to keep track of bets and find a way to let players make wagers. Furthermore, online gambling operators have a secret weapon that will make integration easy for them: Bitcoin betting. 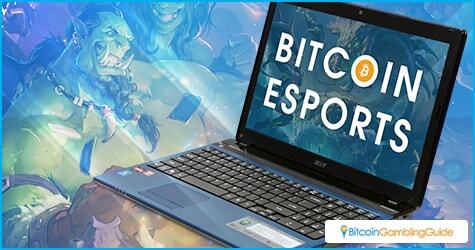 Bitcoin sports betting and eSports are a match made in heaven. One of the main reasons for this is the fact that both are optimized for online use. eSports really came into its own when the Internet became a dominant part of the daily experience. Bitcoin may not have been the first digital currency, but it was developed to use the advantages provided by the Internet: heightened connectivity and worldwide access. As a cryptocurrency, Bitcoin was developed to be a secure and anonymous way to make transactions. This is great for eSports betting enthusiasts because this means they can bet from anywhere without fear of being censored. Another reason eSports and Bitcoin betting complement each other is that Bitcoin is fast. One of the hallmarks of eSports is that they are rapid-fire games that can change circumstances in a matter of moments. With the popularity of live betting, it is important that transactions are done quickly. Normal online banking transactions take hours, while bitcoins are processed in minutes. Finally, Bitcoin is easy to use. Credit cards and other options often require long registration times and the use of additional security measures. With Bitcoin, players can sign up in seconds, get their first Bitcoin in minutes, and use it with just a few clicks. Wallets, the base app for Bitcoin transactions, are designed to be user-friendly, ensuring easy understanding. Even with all of these advantages, gambling operators will still need a roadmap to ensure that they avoid crippling pitfalls. 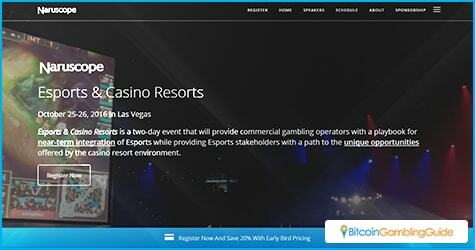 Fortunately, Narus Advisors will be holding a two-day event in October aimed at how eSports can be integrated into online and offline casinos. Speakers at this event will include experts like Dr. Brett Abarbanel, Head, Social & Recreational Gambling Research at UCLA; Manny Anekal, Gaming and Esports Executive; Steve Arhancet, Co-Owner, Team Liquid;; Alex Fletcher, President, Entiva Group; Brett Lautenbach, WME Esports; Darion Lowenstein, CMO, Gamblit Gaming, and more. 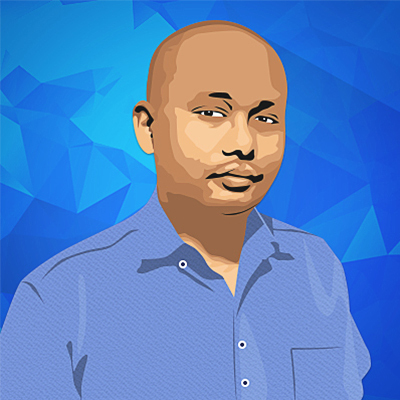 Kingsley Edwards, the CEO of Leet.gg, will also be attending the event. Leet.gg, which accepts Bitcoin and rewards the winning players with the cryptocurrency, continues to offer popular online games like Counter-Strike: GO, Minecraft, and League of Legends. Gambling operators should seriously consider what moves they will take when it comes to integrating eSports into their entertainment strategies. It would be unfortunate to miss this great business opportunity, after all.